Hinter dem Kürzel LUDWIG & LOEHN stehen die beiden Komponisten und ordentlichen GEMA-Mitglieder Ingo Ludwig Frenzel und Lars Löhn. Für größere Projekte kooperieren wir mit einem Netzwerk von Komponisten, Musikern und Sounddesignern in Berlin, Zürich und London und bieten sowohl Musik, als auch Audio-Postproduktion für Film und Werbung in unserem Studio in Berlin. 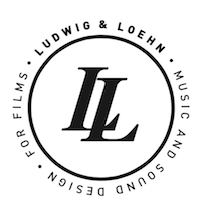 The brand name LUDWIG & LOEHN stands for the intial collaboration between the two film music composers: Ingo Ludwig Frenzel and Lars Loehn. For our projects, we work with an international network of composers, musicians, bands and sound designers who make possible the scoring of film and other media. Stylistically we offer a wide spectrum: From versed musicians such as orchestra expert Ingo Ludwig Frenzel and modern score specialist Lars Loehn to young talents such as concert pianist Felix Raffel who brings virtuosity and live music experience into the team. In order to design the sound for films and other media, we possess excellent equipment and know-how. Our sound designers have years of experience in creatively working with sounds and they have created the sound design for many notable projects. For musical advice tailored to your request we work with an international network of composers, musicians and licensors. Having worked with IHDE & Partner for years, we further offer guidance concerning all legal matters, such as copy rights. We are always interested in exploring new media and technology as well as their scope of application. In this area, we work independently as much as in cooperation with other firms or academic institutions. With our in-house music publisher and more than 20 years of experience with the GEMA as well as up to date knowledge concerning their practices and tarrifs, we offer production companies as well as composers an overall service. Our boutique library comprises over 3000 pieces of music. Due to the close relationships with the composers, bands and musicians we are able to make every track fit to your very own needs, if necessary.